Here’s what you need to know about Jeronimo Santos Gonzalez. 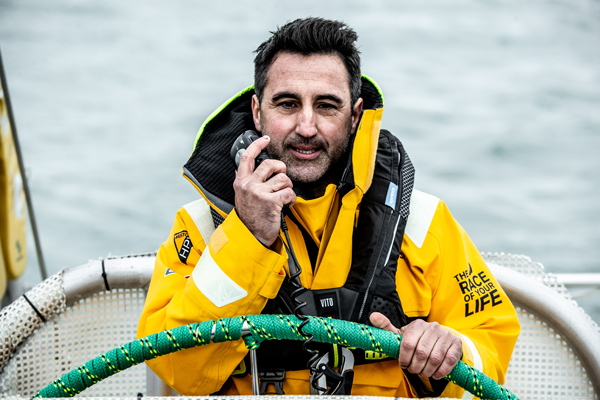 As a Clipper Race Skipper, Jeronimo is living out a lifetime ambition of sailing around the world professionally. He sees the race as a huge adventure and can’t wait to meet new people and be an integral part of the Clipper Race community. On who has inspired him to be where he is today, Jeronimo credits his wife, who he says believes people can do anything they put their mind to, and in sailing it’s Jose Luiz Perez Garcia, who is also known as ‘Morito’. A Spanish sailing champion, he was Jeronimo’s sailing mentor when he was a teenager. He counts himself as both a night owl and an early riser, his drink of choice is a Cuba Libre, and his favourite movies are ‘The Empire of The Sun’ and ‘Out of Africa’. The last book he read was ‘The Churchill Factor’ by Boris Johnson, and the best piece of advice he will share with his crew will be to live this adventure to the fullest. Qingdao’s 16 year Clipper Race heritage has inspired the branding for the 2019-20 edition of the global ocean challenge.